January 31, 2019 marked the end of Studio Furniture 2018. 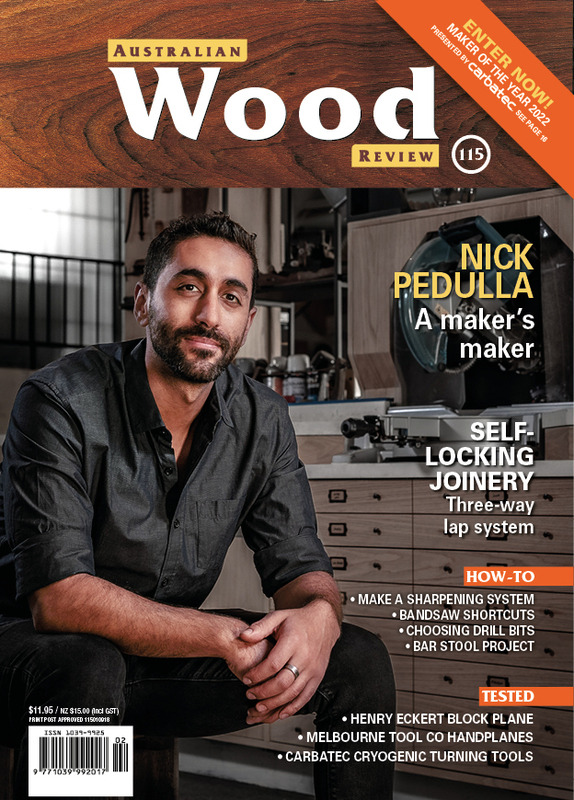 From an initial pool of 105 entrants, 65 makers went on to produce beautiful works in wood that were exhibited at Bungendore Wood Works Gallery in NSW. The exhibition opening on October 22 was a crowded affair; the energy and excitement on the unveiling of the works presented was palpable. To mark the end of the official display period, Bungendore Gallery members opened the large ballot box into which visitors have cast votes for Popular Choice over the last six weeks. When the 289 votes were tallied Popular Choice was found to be the Lotus Dining Table by Alby Johnston, followed closely by Gray Hawk’s Tryst table and chair setting for two. Damien Wright’s Tread Lightly, Haydn Hopwood’s Artist’s Valet, John Coventry’s Circumbendibus and Riverstones II by Evan Dunstone and William Bayliss were all close contenders. 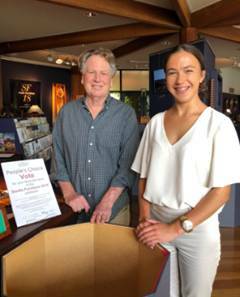 Gallery trainee, Isobel Iffland-Mihaich (shown above with Gallery Director David Mac Laren) also drew the winning ballot of Gallery visitor Judi Crouch, SA. Judi’s favourite ‘best of show’ piece was Tryst by Grey Hawk. Judi wins goods to the value of $500 donated by the gallery. While sold works from SF18 will now be dispatched to their new homes, some work from the exhibition will remain at BWWG for a further period of time.